My play "The Super Variety Match Bonus Round!" 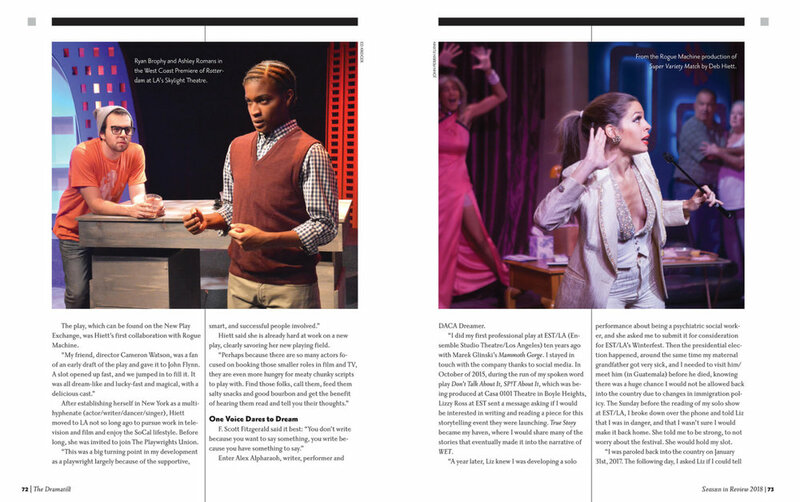 was part of Rogue Machine Theatre's 2016-2017 season which received the Ovation award for "Best Season." 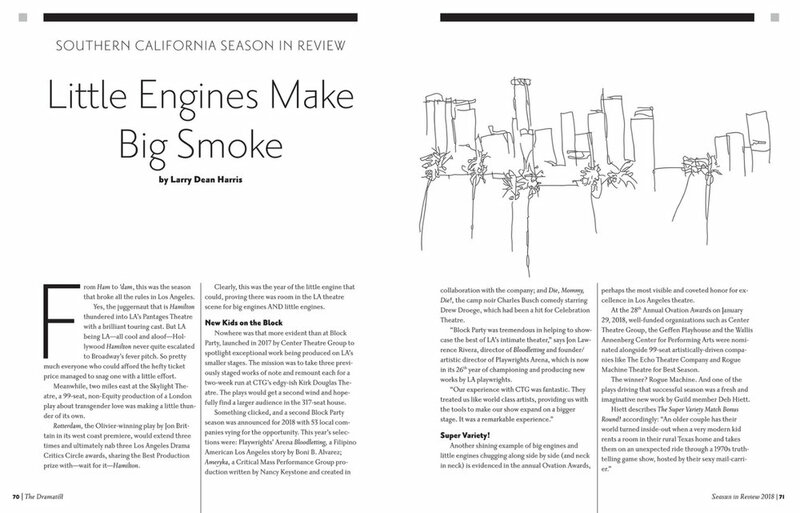 I was excited to be interviewed about it for Dramatists Guild's "Season in Review" magazine edition, which is available now. Big thanks to Larry Dean Harris for reaching out to me for the article, as well as my director Cameron Watson, and Rogue Machine's Artistic Director John Perrin Flynn for believing in my play.